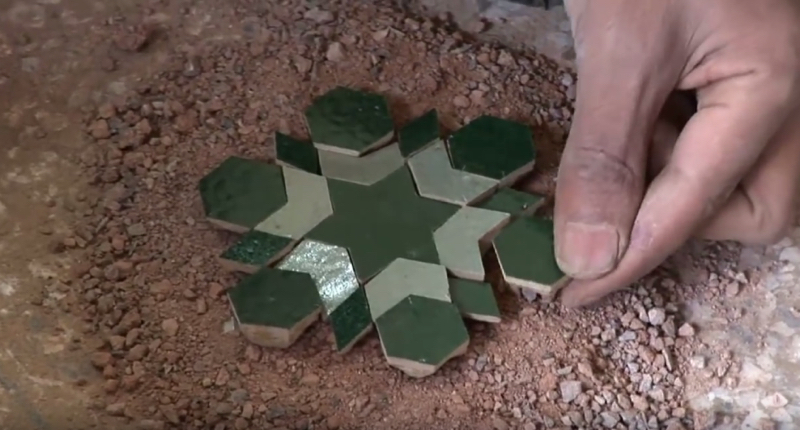 From Moroccan interior design company Habibi Interiors, watch as maâlems (master craftsmen) take their time and skill to create terra cotta tiles known as zellige, zillij, or الزليج, meaning “tiles” in Arabic: From Clay to Mosaics. The art of zellige flourished at the Hispano-Moresque period (Azulejo) of Morocco. The art remained very limited in use until the Merinid dynasty who gave it more importance around the 14th century and introduced blue, green and yellow colours. Red was added in the 17th century. The old enamels with the natural colours were used until the beginning of the 20th century and the colours had probably not evolved much since the period of Merinids. 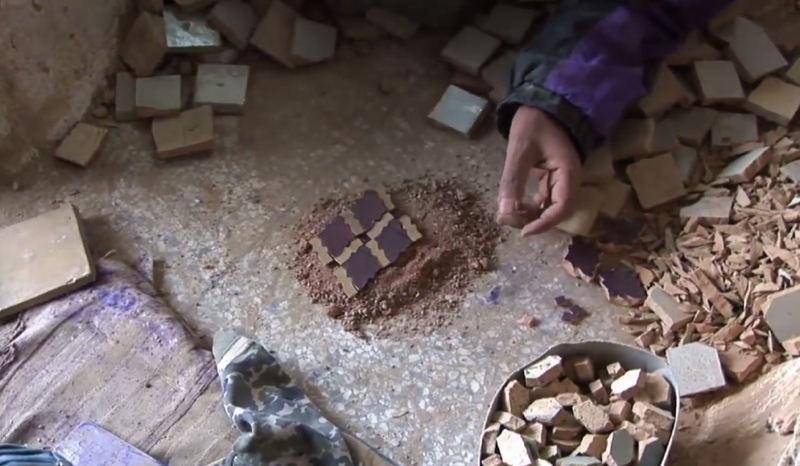 The cities of Fes and Meknes remain the centers of this art. Patrons of the art used zellige historically to decorate their homes as a statement of luxury and the sophistication of the inhabitants. Zellige is typically a series of patterns utilizing colourful geometric shapes. This framework of expression arose from the need of Islamic artists to create spatial decorations that avoided depictions of living things, consistent with the teachings of Islamic law. 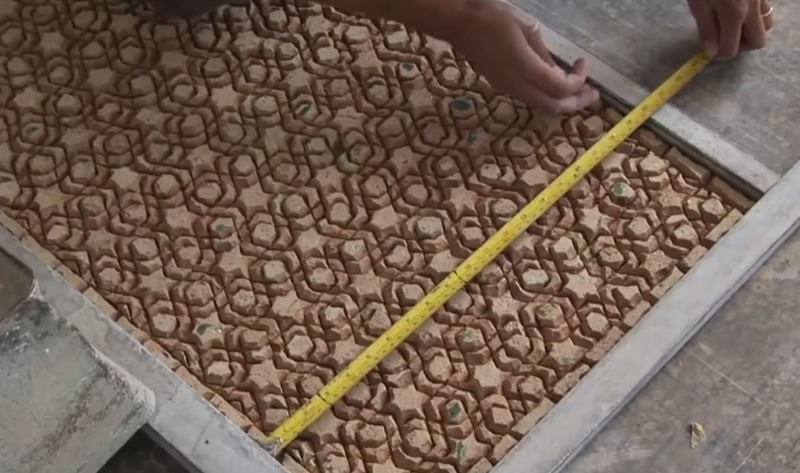 Watch more ceramics videos and more patterns on this site. Plus, go on a food tour of Morocco with The Perennial Plate.